Hey I just got into Logic Pro X and I need to find all the older Impulse Responses for Space Designer reverb! The new installer didn't give them to me. Have you checked to make sure there aren't still some presets to install thru the Sound Library Manager? 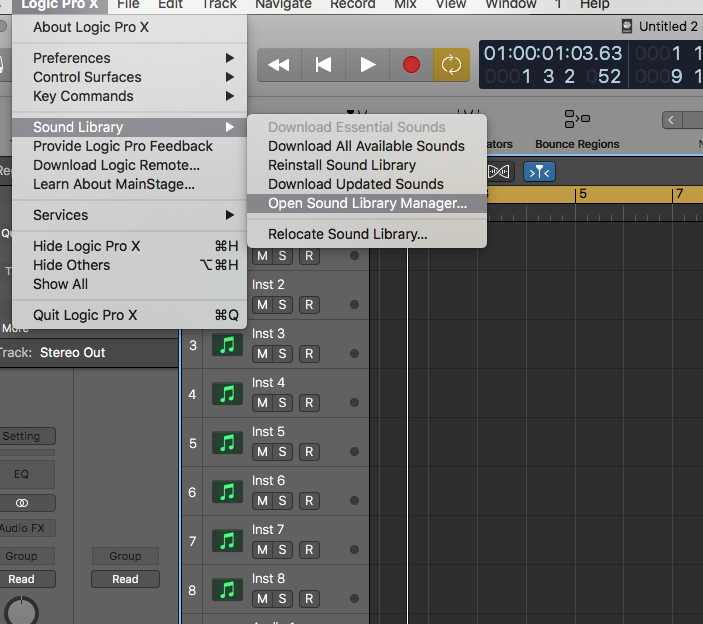 I'm not 100% certain, but I was thinking that all of the Space Designer presets are still available via the Sound Library Manager... the basic installation doesn't install the entire Logic library by default. Sadly I don’t have any of the old files, or drive. It’s a fresh install of Logic Pro X and it seems to install a much smaller set of presets. It appears that the space designer patches are made up of a preset file, and a separate impulse file called up by the presets. I found the presets online, just can’t find the .SDIR impulse response files. can you not get to them in the sound library manager? i forget if they are available. there's a lot of legacy stuff there and separate download sections for stereo and surround reverbs.